Finally! 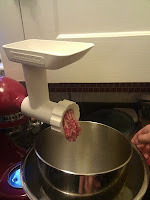 I've been looking forward to this for a month - our highly anticipated sausage lesson! I brought my husband since we were warned ahead of time that this was really a two person job, if at all possible. 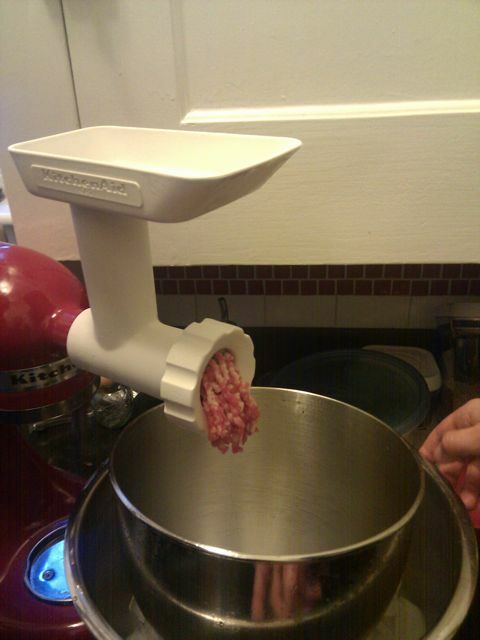 So now we both know how to make sausages. We had a really fun time, and Michelle, our instructor, is a great hostess and teacher. She even had the cooking show flair going - she had precut a bowl of meat and spiced it and put it in the fridge, so that when were done cutting up the meat and spicing it, we wouldn't have to wait. She put one bowl in the fridge and, voila, produced a well chilled bowl of seasoned pork ready to be ground. bind the meat with the spices and cream (we made bratwurst, which calls for egg and cream): and then stuff the casing. There were more technical difficulties at this step; we had casings split on us (not the end of the world) and there is a distinct lack of uniformity to the length of the links. Not bad for a first try, though! We made a total of 42 sausages, with an additional 3 small patties since we ran out of casings. 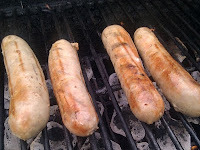 They were chilled for a day then I froze them in units of 4 to 9 sausages each, depending on their sizes. Tonight we had our very own grilled sausages, with homemade pickles, homemade ketchup, and marinated farm share fava beans. How satisfying is that? This was a lot fun! And the sausages taste wonderful. Thanks for making this happen. 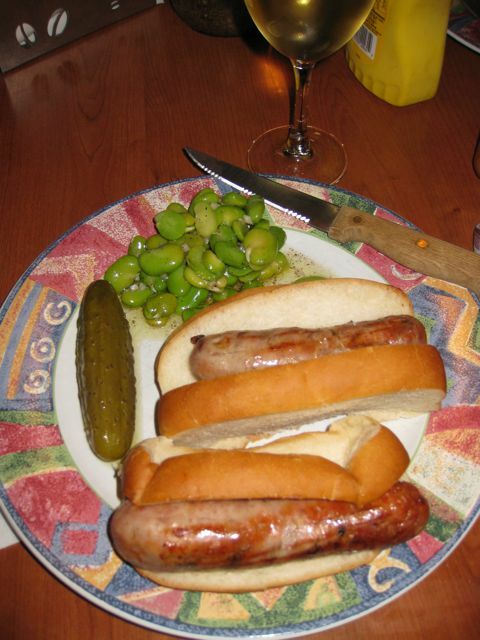 The sausages look absolutely delicious! Wow that looks delish!!! Girl, I was right next to you during this. 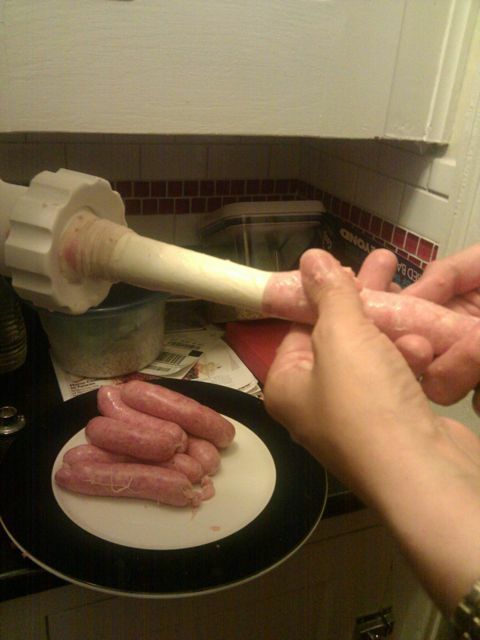 I made Italian sausage and it was a lot of work with the casings. You seem to have a brighter outlook than I did. I like the patty part, Are you going to post the recipe for us? 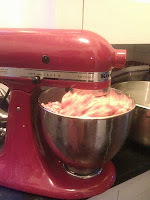 I'd REALLY like to try your recipe, mine is on my blog if you want to try it! YUM Homemade ketchup? I'll take a look!